Cal: .300 Savage, Operating System: Semi-Auto, Gas operating, Capacity: 4 rounds,Description: To say the least this is a very unusual design of rifle. 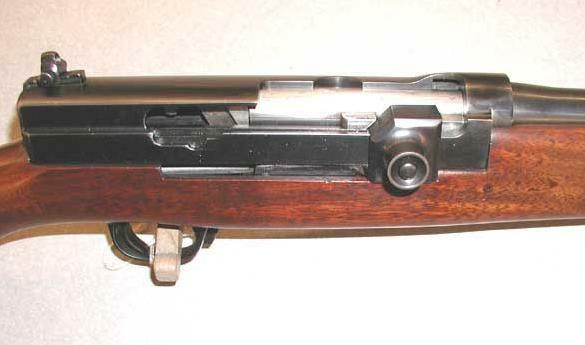 This was entirely hand built and submitted to Remington Arms Company in the mid 1940's for design trials. It is chambered in the fashionable .300 Savage cartridge. This rifle is gas operated and semi-auto. There is a four cartridge capacity internal magazine. The entire receiver is milled and internally broached to accommodate the unusual bolt assembly. This is the only one known to exist and is exceptionally well made.